It would be surprising if Publicis Groupe boss Maurice Levy didn’t know that most of the company’s North American Procter & Gamble media business was lost when he announced the reorganisation into four ‘hubs’ last week, including Publicis Media headed by Steve King. When the biggest share of $2.6bn in media spend is heading elsewhere, the client usually marks your card before the announcement. But heading elsewhere it is: Omnicom has won most of the big brands including Gillette and Pampers; Carat which handles P&G in Canada remains in place while Publicis retains Duracell and some haircare brands, many of which P&G is trying to unload. WPP’s MediaCom failed top win anything although it still works for P&G in other global markets. The financial hit to Publicis is estimated at between $50m and $100m. The win is huge for Omnicom and global CEO Daryl Simm (left), which has come from left field to displace both Publicis and WPP. 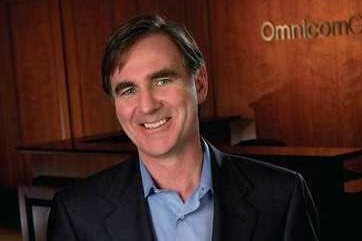 Omnicom was not, hitherto, one of the biggest P&G agencies on any level but Sim, as P&G’s director of worldwide media, led the company’s last mega media review in 1997. Omnicom has been steadily improving its media offer in recent years, with far less noise than Publicis or WPP. As for Publicis this will be a bitter reminder to Levy of what might have been had the merger with Omnicom gone through in 2014. It looks inevitable that its media agencies Starcom and Zenith will lose some of their independence as the message of this review and others seems clear: big holding companies pitch for big media accounts as one. Clients are more concerned these days with savings than conflicts. We forgot an ‘m’ on Daryl Simm’s name in an earlier version. Anyway the boy done well.